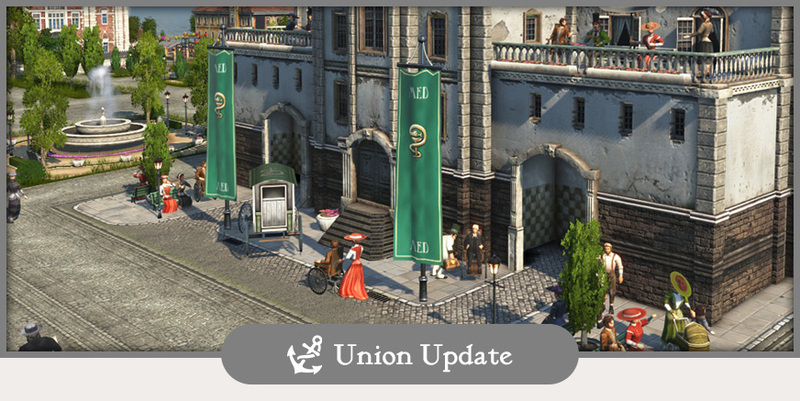 Welcome back to the newest Union Update, this time a bit shorter than usual to leave us enough time to prepare the upcoming Closed Beta. This week we planned to publish a blog taking a closer look at the City Incidents that you’ll have to deal with when creating your cities. We are still going to publish this blog, however, due to some workload caused by the preparation of the upcoming Beta of Anno 1800, we decided to move the blog to February. That way, we have time to prepare the Closed Beta starting January 31st and bring you the hot insights about the incidents right after the test has concluded. We teased to reveal another new feature for Anno 1800 last week and even though we had to move the City Incidents blog, rest assured that we will still raise the curtain on the new content before the Closed Beta starts! 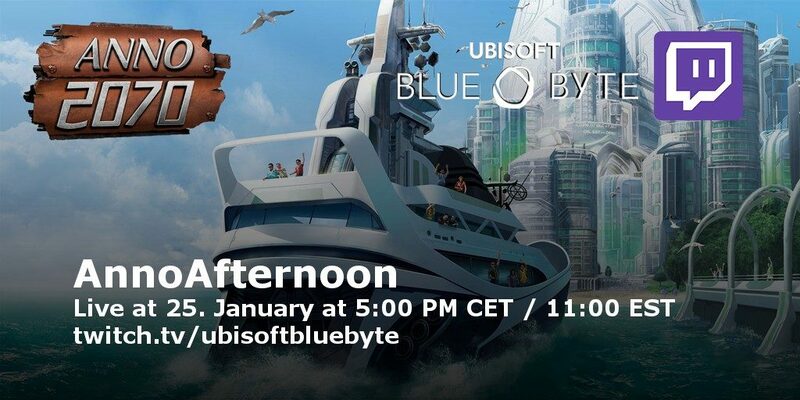 A reminder that this week we’ll hold another AnnoCast and AnnoAfternoon that you can watch live on http://twitch.tv/ubisoftbluebyte. As a headsup from last weeks announcement, we had to move the date of the next episode of our AnnoCast gamedev stream to this Thursday instead of Wednesday and we hope that despite the change in times, you’re going to watch because we have some interesting infos prepared and lot’s to show you! Follow our channel if you haven’t done so and use the links to the Events to receive a reminder when the Streams are about to begin. That’s it for this week. Next week, we’ll have a huge chunk of information regarding the coming Beta and a DevBlog, so make sure you bookmark the Union and follow us on Social Media so you’re not missing out. Will be able to preload the beta? Or is that going out to testers on the 31st? Really excited about expeditions!! Can’t wait for the stream!